Hot off the press, the new Groenhof Optiek 3.0 in Amstelveen. 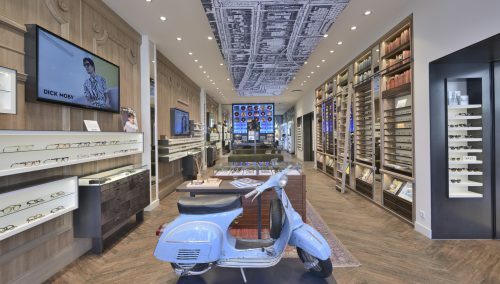 Eyecare and eye fashion presented in one breathtakingly beautiful ambience. With greenery inside the store and famous old masters looking out over the space and the ‘masters guild of opticians’. Groenhof is known far and wide as the place to go for beautiful glasses, accurate measurement and super-friendly service. The design of the store aims to pleasantly surprise customers and increase the length of time they spend in the store. 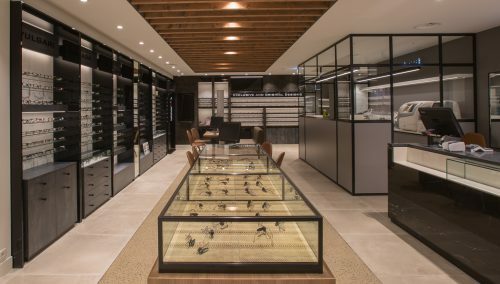 WSB’s retail architects will turn your offline optician’s business into a commercially successful store concept. Every store has its own style and every owner has his/her own wishes. WSB provides input based on the perspectives of the customer and the sales staff. The interior must appeal to the customer’s imagination but also be an efficient place for staff to work. WSB enhances the store brand by creating experience. 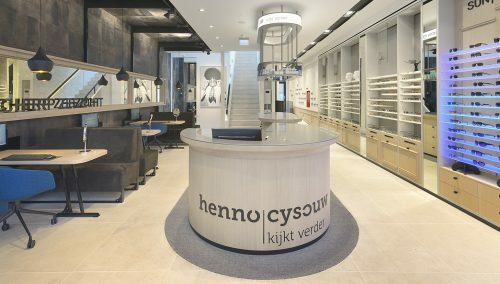 Optician’s store interiors: we know what really motivates people, what influences their buying habits. Planning to refashion your store interior into a lifestyle concept? Call WSB’s designers for a brainstorming session with no obligation: +31 33 2771714.